A few weeks back, I wrote a retrospective of the 2005 Houston Astros, who overcame a dreadful 15-30 start to not only reach the postseason, but make it all the way to the World Series. This year’s Reds club also got off to a 15-30 start, so the Astros seemed like the perfect Ã¢â‚¬Å“best case scenarioÃ¢â‚¬Â of what could happen if things suddenly turned around. It seemed completely implausible at the time, but lately, with the Reds winning more often than they’re losing, I thought it’d be fun to measure their progress. Unfortunately, the prospect of the Reds making the playoffs this year isn’t much more plausible today than it was two months ago. Granted, the team has been playing considerably better as of late, going 21-9 during a recent 30-game stretch, but they’ve yet to dig themselves out of last place in the NL Central. On June 9, when the team was a season-worst 21 games under .500, they were 17.5 games back in the standings. Today, they’re still 13.5 back. In other words, despite winning 11 more games than they’ve lost over the past five weeks, the Reds have managed to improve their divisional standing by just four games. As I wrote in the Astros piece, the average number of wins of the second Wild Card qualifier over the past six years is 89 (.549), which happens to be exactly how many games Houston won during the 2005 regular season. Currently, all three second place NL teams are on track to finish with a similar number of wins, with another (Colorado) not far behind. That said, it still seems realistic to say that a team who finishes 89-73 would have a good shot at the playoffs. 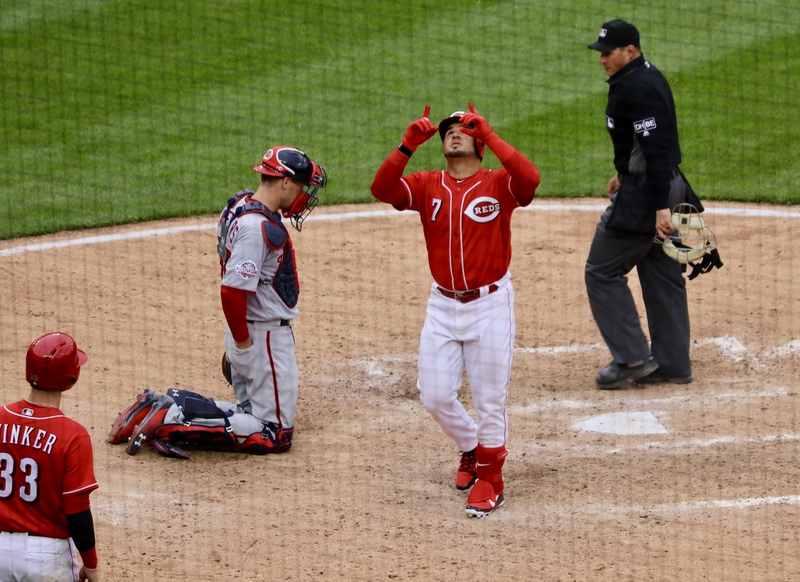 To reach that mark, the Reds would have to go 46-20 (.697) over their final 66 games Ã¢â‚¬â€œ meaning that they’d need to put together not just one, but two more stretches where they’d win 21 of 30 games. It’s not impossible, but it’s certainly improbable. To put things into perspective a bit more, by the time the 2005 Astros went into the All-Star break, they were already one game over .500 at 44-43. At the 96-game mark, meanwhile, they were 50-46, or seven games ahead of where this year’s Reds squad stands now. The Astros simply turned things around earlier than the Reds did, and even though they were still a playoff long shot at the break, their path to the postseason Ã¢â‚¬â€œ which saw them play .600 ball in the season’s second half to finish with a one-game edge in the Wild Card race Ã¢â‚¬â€œ was far less treacherous than the Reds’. As a long-suffering fan, I’d love for the Reds to play October baseball this year. Last year, the Dodgers went on a hot streak during which they won an incredible 43 out of 50 games (.860), something no team had accomplished in 105 years. Four years prior, they went on a similar 42-8 tear. Colorado famously won 14 out of their final 15 games in 2007 to make the playoffs, and then won seven more in a row before midnight struck in the World Series. 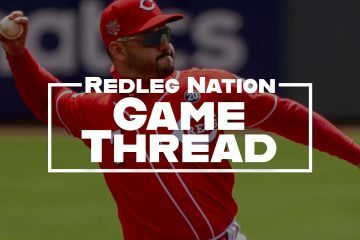 If the Reds can somehow follow in these teams’ footsteps, it’s possible that they’d take the Central outright rather than merely qualify for a Wild Card slot, but that’s even more of a pipe dream. Still, just for fun, what would it take? More than likely, it would mean holding onto the players frequently mentioned as potential trade chips Ã¢â‚¬â€œ that is, Raisel Iglesias, Scooter Gennett, Billy Hamilton, Adam Duvall and possibly even Matt Harvey. It would mean Jose Peraza somehow sustaining his current hot streak. It would mean Joey Votto turning things up a notch in the second half, as he has before. It would mean getting Jesse Winker’s bat Ã¢â‚¬â€œ as well as his ability to know when not to swing it Ã¢â‚¬â€œ in the starting lineup as often as possible. It would mean Gennett proving doubters wrong, Hamilton wreaking havoc on the base paths, the bullpen continuing to impress and fewer ill-advised bunts. It would also probably mean parting with a top-tier prospect such as Hunter Greene, Nick Senzel or Taylor Trammell to acquire a proven No. 1 starter for the stretch run, and hopefully beyond. That’s a lot of if’s, as well as a large sacrifice. Think of it as playing Monopoly with all of your chips riding on a single set of properties. Yes, it’s possible that your opponent can land on you over and over again while you successfully run the gauntlet, but there’s a much higher likelihood that you’ll go bankrupt first. It’s been a blast to follow the Reds as of late, and I hope that trend continues in the months ahead. And while there’s nothing wrong with dreaming about Ã¢â‚¬Å“what if?Ã¢â‚¬Â scenarios that end in October success, there’s still no reason to mortgage the future for an outside chance at present-day glory. 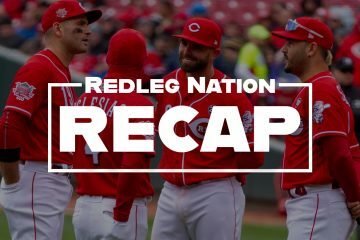 Consider this: Even if the Reds can reel off a 10-game win streak to start the second half so that they’re sitting pretty Ã¢â‚¬â€œ or at least prettier Ã¢â‚¬â€œ at .500 on the morning of the trade deadline, they’d likely still need to win two out of every three games over season’s final two months to have a legitimate shot at the Wild Card. That’d be a tall order even for The Big Red Machine. Remember, it’s never been about 2018. Anything good that happens this year Ã¢â‚¬â€œ think Hamilton’s superhuman catches, improbable ninth-inning rallies, Winker’s dark horse Rookie of the Year campaign, Eugenio Suarez’s ascent to (all-)stardom Ã¢â‚¬â€œ is simply icing, gravy, a nice bonus on a season that was written off well before its first pitch was thrown. That’s not to say we can’t enjoy the final two months of another lame duck season, though, and begin to fantasize about legitimately contending in 2019 and beyond. This is fun. Thanks for the pipedream. Or it means that you keep everyone, move Sal to the pen, insert Robert Stevenson and he performs at the bigs the way he is currently performing at AAA. I am more a fan of playing out this string than getting below market returns on trading our guys. I think it also means that Billy Hamilton finally gets it and hits 300 in the second half for us to make the playoffs. May also mean that Homer pitches to a 3.5 versus a 8.5 in the second half. And that Disco pitches to 3.5 instead of 5.3 Rest for those starters who need it. In fact, Mahle or Castillo cooling their heals in AAA for 3 weeks to manage their innings while all these other miracles occur would be cool to gain the additional year of control. The Astros simply turned things around earlier than the Reds did, and even though they were still a playoff long shot at the break, their path to the postseason Ã¢â‚¬â€œ which saw them play .600 ball in the seasonÃ¢â‚¬â„¢s second half to finish with a one-game edge in the Wild Card race Ã¢â‚¬â€œ was far less treacherous than the RedsÃ¢â‚¬â„¢. This is the key right here. As good as the Reds have been lately, I believe it’s simply too late for them to seriously challenge for the postseason this year. What they should focus on for the rest of 2018 is getting the pieces perfectly positioned for 2019. If they could also finish around .500, give or take 5 games, that could help build up a lot of positive momentum going into 2019, but the record is secondary to making the trades to get the pieces the team needs. Then in the offseason, trade/buy whatever pieces are still needed, then next season, let’s have a REAL blast! The light at the end of the tunnel is getting bigger and brighter every day. Votto is 35 in 2 months . He’s probably just getting a day off with a busy All star trip and big home stand upcoming. The Schebler shoulder injury bears watching. Ervin is 26. He gets an opportunity. See the title. Thanks for reading!